SN@TCH: Stuff on Sale this Weekend at Sn@tch! Stuff on Sale this Weekend at Sn@tch! This is just a little taste of the hundreds of fatpacks on sale now at the Sn@tch Roller Disco Sale! 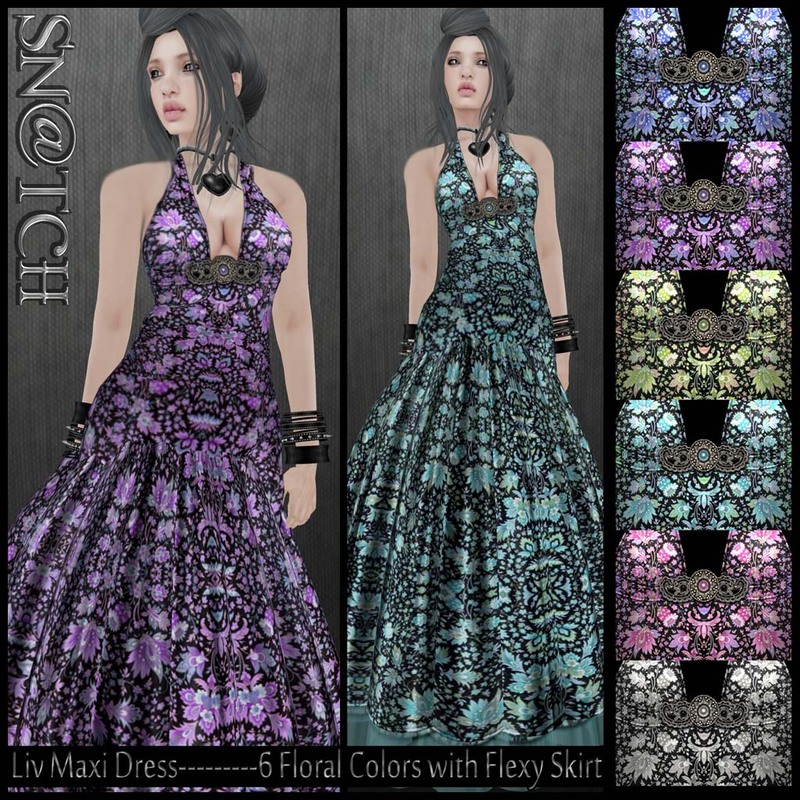 All these outfits and full color sets and LOTS of Mesh Items are priced at or BELOW $150 L!! We've set up a 70s Roller Rink and put on the Disco Music too. 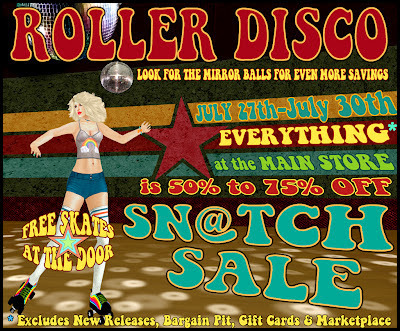 Free Roller Skates & Skating AO at the door, so grab your lip gloss and come skate and shop for the best deals of the year at Sn@tch! Look for the Disco Balls for even MORE savings!